Reporting to the Assistant Dean, Support Services and Community Engagement, the Alcohol and Substance Strategist plays a lead role in coordinating a robust strategy and campus wide objectives related to responsible drinking, drug use and substance harm reduction. Through the development of a comprehensive substance framework and strategic priorities, the Strategist will provide guidance related to the best practices for preventative and responsive initiatives and interventions. The incumbent will be responsible for coordinating and facilitating a high level of collaboration among various campus and external stakeholders in an effort to focus resources and programs on supporting student success, education of alcohol related harms, and supplementing wellness education with assessment practices and data. The Strategist will also lead the ongoing development, revision, implementation and coordination of documents such as policies and response protocols, in collaboration with campus and community stakeholders. This includes the development of communication tools to increase awareness of substance prevention strategies and resources. The Strategist will provide administratively sound guidance on available university and community resources to stakeholders. The Strategist is expected to be knowledgeable on applicable legislation and work collaboratively with interested parties and individuals who have institutional responsibilities for substance related work and with Units/Departments who provide skill and services to ensure coordinated approach to substance use. This includes the coordination of committees with responsibilities related to substance use. The Strategist acts as a key resource for the development and implementation of strategic priorities and initiatives aimed at increasing student knowledge around the safe and responsible use of alcohol and cannabis. Specifically, the role of the Strategist will be to build a progressive alcohol and cannabis strategy through partnership, research, consultation, recommendations, and advocacy. The schedule for this position requires the incumbent to work occasional evenings and weekends. Design and develop methods for collaboration among departments and community organizations to support the implementation of collaborative initiatives specifics to the Campus Alcohol Strategy, PEP-AH (Post-Secondary Education Partnership – Alcohol Harms) framework, and other substance strategies and educational frameworks. Lead the work of the Alcohol Working Group and other committees to identify potential actions and lead coordination of the implementation of initiatives to improve student success and wellness with respect to alcohol and substance use. Advise and contribute to discussions supporting further development and alignment of relevant initiatives to the Campus Alcohol and substance strategies and planning related to high risk events and occasions such as Orientation week, Homecoming weekend, and St. Patrick’s Day. Develop and coordinate a strategic alcohol and substance harm reduction plan bringing together new and on-going initiatives across education, best practice, marketing, assessment, and community-based efforts. Act as primary lead and point of contact in the university’s participation in the PEP-AH, a nationwide initiative to develop and share evidence based harm reduction strategies and programs. Remain informed and current with best and promising practices in alcohol and substance related issues, student development, program assessment and adult learning principles to guide development and delivery of programs. Oversee budget for assigned programmatic efforts and initiatives as required. Provides work direction, and technical/functional guidance to staff. Schedules and assigns work, and oversees its completion. Coordinates and monitors work flow. Schedules and approves, or recommends the approval of, employees’ hours of work, overtime and absences. Monitors and oversees employee attendance. Participates in screening and interviewing job candidates, and providing input into staff selection. Reviews assignments and provides feedback on work to employees. Provides input on work performance to management staff. Provides orientation and on-the-job training to employees in the unit. Provides coaching and feedback on work quality issues, providing related day-to-day supervision. Escalates unresolved performance and/or disciplinary matters to management. Design and deliver focus groups, stakeholder consultations, and other means of collecting information from campus and community members to inform strategic efforts and priorities. Oversee assessment efforts for campus alcohol and substance related initiatives in the interest of determining effectiveness and improving the resources offered to students at Queen’s University. Analyze, summarize and make conclusions regarding complex policy and procedure adaptation. Compile and analyze qualitative and quantitative data for the purposes of writing reports, recommendations and informing best practices related to alcohol harm reduction. Develop methods for evaluating the impact of policy and standards operating procedure implementation. Represent the Division of Student Affairs, as delegated, on relevant committees and working groups. Participate in policy development with the Alcohol Working Group, Student Affairs, student groups, Public Health, PEP-AH, and other stakeholders, colleagues and community members for the Campus Alcohol Strategy and substance related work. In collaboration with unit leads, conduct and support ongoing high level analysis and evaluation of programs and initiatives to determine viability and effectiveness. Oversee the development of initiatives and programs identified by the Alcohol Working Group and other related committees as required. Liaise with Student Wellness Services, Athletics and Recreation, Housing and Ancillary Services, Student Experience Office, Campus Security and Emergency Services, Environmental Health and Safety, Support Services & Community Engagement, student organizations and other campus units to advise on alcohol and substance harm reduction strategies. Develop and/or deliver training, workshops or information sessions as required to various stakeholder groups both on and off campus. Working closely with Health Promotion and Communications, develop and implement communications and marketing material strategy with the goal of engaging the student body on alcohol/substance harm reduction through marketing campaigns, publications, social media animation and other methods of communication. Act as a lead resource for the Alcohol Working Group and other committees to consult and contribute to strategic direction as required. Make appropriate referrals to campus and community resources, such as counselling services, police, and develop relationships with these resources for access as needed. Design and implement opportunities for learning for professional and para-professional staff around alcohol issues and strategies. Support fair treatment and opportunity for all. Demonstrate commitment to diversity and equity. Identify, develop, and maintain contacts with local and national organizations to further substance harm reduction work. Provide regular updates and briefings to the Assistant Dean, Support Services and Community Engagement and others as required such as the Executive Director, Health and Wellness, Executive Director, Housing and Ancillary Services, and Chair(s) of the Alcohol Working Group and Environmental Health and Safety. Other duties as required in support of the department and alcohol/substance strategy and harm reduction. A minimum of 5 years of professional related experience in health, addictions, student affairs, public health, assessment or project management in progressive roles. A minimum of 5 years related experience leading complex project and policy initiatives, including systemic assessment of the work/living/study environments preferably in a university or other large, multi-stakeholder environment. In depth knowledge of alcohol and substances as they related to issues and challenges of post- secondary students or individuals. In depth knowledge of relevant legislation, government resources, and community supports. Satisfactory Criminal Records Check and Vulnerable Sector Screening required. Valid Province of Ontario Class G driver’s license required. Consideration may be given to an equivalent combination of education and experience. Understanding of alcohol and substance harm reduction strategies, addiction, mental wellness related needs is essential for success in this position. Knowledge and understanding of the needs and experiences of students in a post-secondary environment. Ability to maintain a legally sound approach to individual and systemic response to substance use. Proven ability to build effective relationship and work collaboratively with multiple stakeholders and community partners to balance multiple interests and within a team context. Sound research and analytical skills. Proven ability to deliver reports to inform the community. Familiarity with university and community resources available to students. Strong interpersonal skills, including tact and confidentiality. Good judgement, analytical thinking, problem solving and decision-making skills. Support of and openness to persons of diverse backgrounds, cultures and beliefs. Ability to lead others and take initiative to accomplish objectives. Creativity and flexibility in developing engaging and effective programming strategies. Intermediate level knowledge of word-processing and database software. Make recommendations on the planning and execution of strategies to improve and expand initiatives to meet the changing needs of the community. Evaluate community concerns and make decisions with respect to the most appropriate approach to the issues. Make decisions regarding appropriate referrals and supports for students, both within and outside of the university community. Distinguish between circumstances in which decision can be made independently and those where consultation is warranted. Make recommendations on appropriate marketing strategies for programs. Determine best methods to evaluate content and delivery of programming. Determine how best to engage with the broader Queen’s community to build relationships and promote opportunities for learning and programming. Assess the suitability of job candidates and recommend the most appropriate person for hire. Determine priorities and make decisions about staff utilization and the assignment of work to achieve optimum efficiencies and productivity. Assess employees’ training needs and make recommendations for internal or external training to attain proficiency. Monitor and assess output and the quality of employees’ work, and recommend need for formal training or development plans to management and identify possible staff performance and/or disciplinary issues. The University invites applications from all qualified individuals. 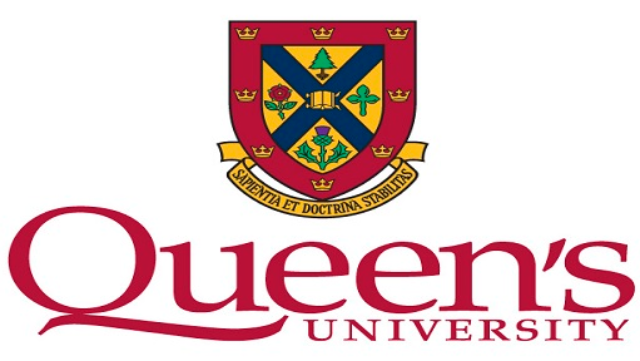 Queen’s is committed to employment equity and diversity in the workplace and welcomes applications from women, visible minorities, Aboriginal Peoples, persons with disabilities, and persons of any sexual orientation or gender identity. In accordance with Canadian Immigration requirements, priority will be given to Canadian citizens and permanent residents. The University provides support in its recruitment processes to applicants with disabilities, including accommodation that takes into account an applicant's accessibility needs. Candidates requiring accommodation during the recruitment process are asked to contact Human Resources at hradmin@queensu.ca.